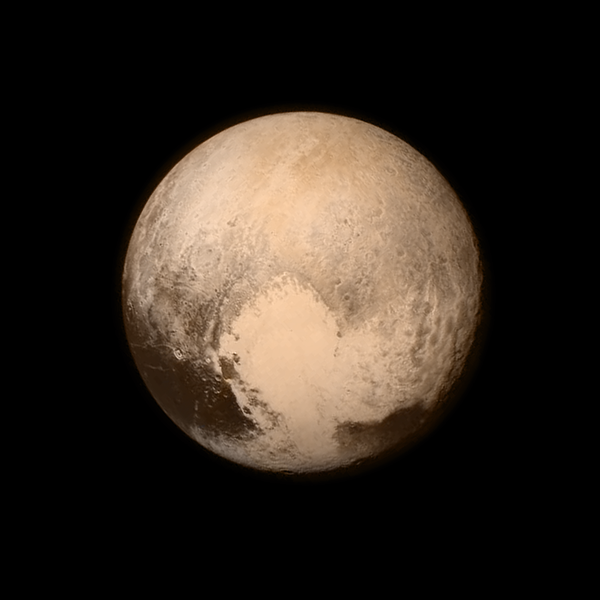 New Horizons Reaches Pluto - Joe.My.God. It was like New Year’s Eve in Times Square as the countdown clock ticked down to zero. “We’re going to do our 10-9-8 thing and you can get your flags out,” S. Alan Stern, the principal investigator for NASA’s New Horizons mission to Pluto told the people gathered here at the Johns Hopkins Applied Physics Laboratory, which is operating the mission. “We’re going to go absolutely ape.” About 7:50 a.m. Tuesday, NASA’s New Horizons spacecraft made its closest pass by Pluto, coming within 7,800 miles of the surface. The crowd, which included the children of Clyde Tombaugh, the astronomer who discovered Pluto in 1930, cheered.